Why haven’t Ukraine and Belarus united against Russia yet? On November 20 Pavel Sharoiko, journalist of the "UA: Ukrainian Radio" was detained in Belarus and charged with espionage. According to the Belarusian KGB, the detainee is a regular military intelligence officer of Ukraine in the rank of colonel. During the interrogation, Sharoiko admitted that he had set up an agent network in the territory of Belarus, consisting of Belarusian citizens who provided intelligence information to him in the "military and political sphere" for money. Igor Skvortsov, an employee of the General Directorate of Intelligence of the Armed Forces, who worked under the cover of an adviser to the Ukrainian Embassy in Minsk supervised Sharoiko espionage activity. It is already clear that the spy scandal will overshadow the bilateral relations between Belarus and Ukraine that have been going through difficult times in the recent past. Until 2014, the dialogue between Belarus and Ukraine was largely a derivative of the dialogue between Minsk and Moscow. The Belarusian side viewed the neighboring state as a trading partner and importer of agricultural machinery and other Belarusian products. Energy conflicts in the end of 2000s and in the beginning of 2010s between Moscow and Minsk related to the revision of Russia's volumes and prices of energy resources supplied to Belarus (due to the reluctance of the Belarusian leadership to allow Russian companies to privatize the national energy infrastructure), prompted Belarus to search for alternative sources of oil. Azerbaijan and Turkmenistan were considered as the most promising partners then. 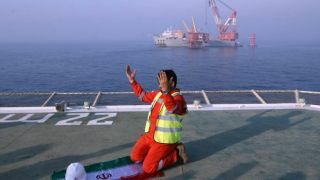 The issue of transit of Azerbaijani oil to Belarus was then solved with the help of the Odessa-Brody pipeline running through the Ukrainian territory. Thus, from the trading partner and the prospective market for the sale of Belarusian products, Ukraine acquired the status of transit for Belarus as an alternative to Russian energy resources. The Belarusian leadership seriously hoped that with the help of Kiev, it would be able to diversify the oil supply routes for its processing and subsequent sale of petroleum products to Europe, thereby reducing the economic dependence on Russia. However, Minsk's ambitious plans did not come true, as swap supply of energy resources from Azerbaijan, Turkmenistan and even Venezuela were simply unprofitable because of the high cost of their transit. The occasion to pay attention again to Ukraine from Belarus appeared after the events of 2014, known as "Euromaidan". Then, the United States and the European Union, which sought to prevent the rapprochement of Ukraine with Russia at all costs, actually supported the coup d'état. As a result, frankly pro-Western politicians came to power in Kiev, not hiding their anti-Russian views. One of their first decisions was an attempt to ban Russian in the southeast of Ukraine, which provoked armed conflict in the Donbass and a referendum on reunification of Crimea with Russia. The Belarusian leadership, which since 2010 was under the Western sanctions, decided to take advantage of the situation and use contacts with Kiev to normalize its relations with the United States and the European Union. A great achievement of the Belarusian diplomacy was organization in Minsk of a platform for negotiations of the Normandy Four for the peaceful settlement of the conflict in Donbass, as a result of which "Minsk agreements" were drafted. 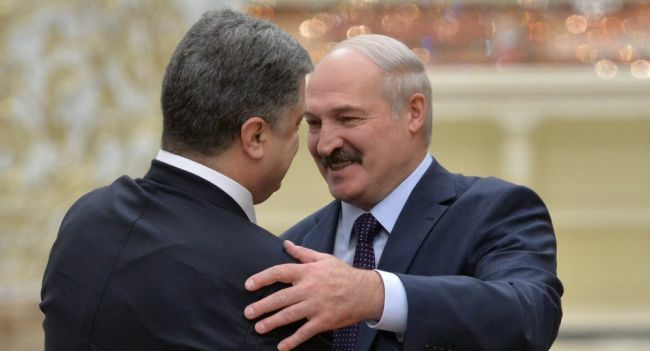 During his visit to Kiev on December 21, 2014, Alexander Lukashenko hastened to assure Peter Poroshenko of his personal support, saying that he would do everything that the president of Ukraine would ask. "And so it will be in the future." In addition to the personal meetings of Alexander Lukashenko with the leaders of France and Germany arriving for talks in Minsk, thanks to the "flexible position on Ukraine," the Belarusian leadership actively promoted in the West a new image of Belarus portraying it as a peacekeeper and "donor of regional security." Apparently, Alexander Lukashenko's efforts were not in vain: first, the US and EU de facto recognized his re-election following the presidential elections in the autumn of 2015, and then lifted most of the sanctions that had been in effect against the Belarusian regime for ten years. Inspired by the fruits of "multi-vector diplomacy," Lukashenko went further, starting "a war for the independence of brotherly Ukraine." Speaking to Belarusian scientists in January 2017, the head of the republic said that "attempts are being made to question the sovereignty and independence of our state," for which, he said, Belarus paid a cheap price: "All nations fought their wars, our brotherly Ukraine is fighting today." It should be noted that Lukashenko's statements in support of Ukraine coincide miraculously with the next round of the crisis in relations with Moscow. In particular, the "gas dispute," which was provoked by Minsk’s unilateral revision of "unjust" price for the Russian gas supplied on the basis of the previously concluded contracts remains unresolved until now. Despite the demarche of the Belarusian leadership, Moscow continues to provide financial assistance to the republic. So, in August 2017, Russia approved another loan of $700 million to Belarus, in addition to the previously allocated $300 million from the Eurasian Development Bank. Last September, the dialogue between Minsk and Kiev was "marred" by theWest-2017 joint Russian-Belarusian strategic military exercises. From the Ukrainian side, they reproached the Belarusian authorities for almost aiding and abetting "the Russian aggression", there were even statements about the imminent invasion of a hundred-thousand contingent of Russian troops to Ukraine from the territory of Belarus. Kiev took an active part in the NATO-initiated anti-Russian information campaign around the exercises, preparations for which were accompanied by hype in the Western press and a number of high-profile statements from the lips of European officials criticizing Russia. Petro Poroshenko promised to check personally that all Russian military left the territory of Belarus. So, against the backdrop of economic cooperation and good personal relations between the leaders of the two countries, the union of Belarus with Russia and the republic's membership in the CSTO and the Eurasian Economic Union remain the principal issue of the Ukrainian authorities striving for Euro-Atlantic integration. Despite attempts to get closer to the West, Minsk is perfectly aware of the lack of alternative to the development of relations with Moscow, which remains the main supplier of energy resources and credit for Belarus. In addition, most citizens of the republic continue to speak out in support of further integration with Russia. And all this happens in the background of militarization of the region and active build-up of the NATO military vehicle at the borders of the Union State. Thus, the ultimate goal of the "multi-vector diplomacy" implemented by Minsk is the development of trade and attraction of additional financial resources from the US and EU to service the accumulated external debts and let the Belarusian economy get out of the crisis. In this respect Ukraine is of interest to Belarus only as a state having a free trade zone within the framework of an association with the EU and a diplomatic tool for building relations with the West. At the same time, the rapprochement between Belarus and Ukraine ends each time at a place where issues of national security and common state interests of Belarus and Russia start.